Home > Free Samples Australia > Food & Drink Free Stuff > FREE Empyrean Nutrition Supplements!! Empyrean Nutrition has a great FREE sampling offer available for Australians! From protein to amino acid supplements and fat burners, Empyrean Nutrition provides some of the highest quality supplements in the industry for building lean mass or losing weight. Go to offer and grab your supplement sample. Simply follow the link over the offer web page by clicking go to offer. Fill the form with your details and chose your the supplement that you want. 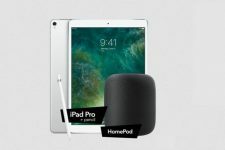 WIN an iPad Pro + HomePod!! FREE Libra School Resource Kit! !